Alexis Gonzalez is an USAF wife with a background in Criminal Justice and Biology. Her yogic journey began January 2014, with one goal in mind: become flexible enough to touch your toes. After a few short months, her practice took on a life of its own, transforming her entire life. With a new found love for wellness, she began to deepen her mind-body-spirit connection, changing the way she viewed herself, the world, and life in general. Two years into her home practice, Alexis was inspired to take her journey to the next level by enrolling in Yoga Yoga’s Hatha Yoga and Foundations of Yoga Therapy teacher training program. 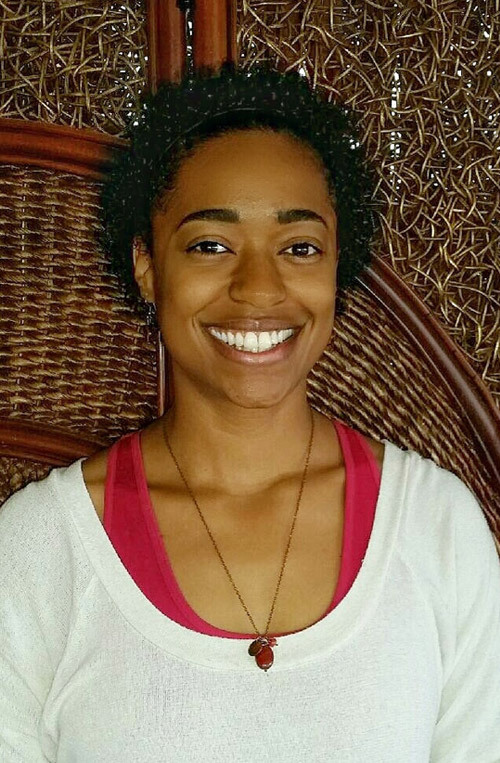 She has since completed her training and is now a 200-hour Registered Yoga Teacher with Yoga Alliance, trained in Raindrop Technique®, and plans on furthering her education in therapeutic yoga, Ayurveda, and essential oils.